Kenya is bracing for the highly-publicized destruction of an immense amount of illegal ivory, to bring the attention of the world to the surging levels of poaching in Africa that could lead to the complete disappearance of several endangered species, including the elephant. 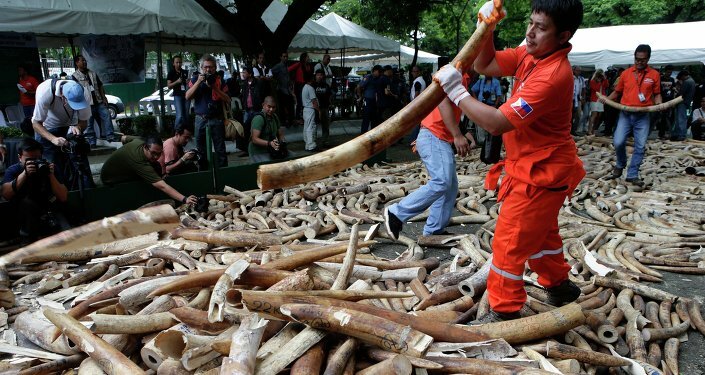 Some 105 tons of elephant tusks and 1.35 tons rhinoceros horns, as well as exotic animal skins and many other wildlife products will be set ablaze on Saturday, the African country’s officials announced. The destruction of the ivory, said to be worth some $172 million on the black market, is aimed to tackle widespread illegal trade of the material. The ivory black market is flourishing, mostly due to high demand from Asia, and China in particular. The Chinese black market, notably, is seen as driving a mass slaughter of elephants and rhinoceroses across sub-Saharan Africa, BBC reported. 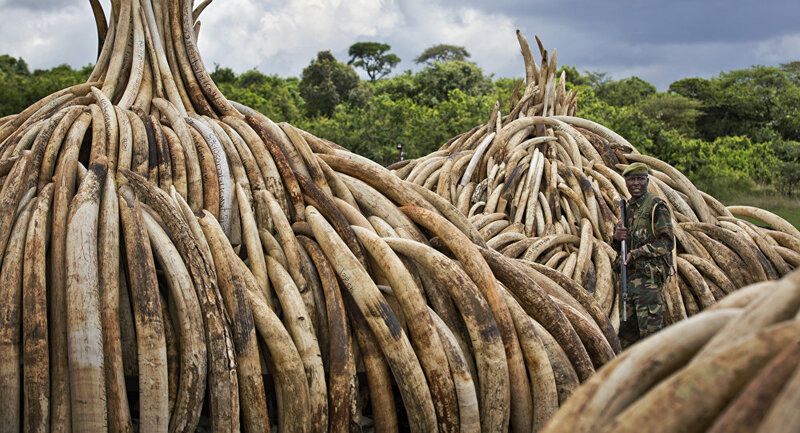 Addressing this problem at a summit of African leaders, Kenyan President Uhuru Kenyatta called for an end to poaching, referring to it as a death sentence for endangered species. “The future of the African elephant and rhino is far from secure, so long as demand for their products continues to exist," the president said, adding that the illegal ivory trade “fuels corruption” and hampers the economic development of Africa. Elephants are responsible for a significant share of the Kenyan budget, as tourists from around the world travel to the country to observe indigenous wildlife in its native habitat. According to official statistics, tourism represents some 10 percent of the country’s GDP. The David Sheldrick Wildlife Trust, a Nairobi-based elephant rescue group, estimates that an elephant living a full life provides 76 times the revenue of its ivory on the black market. But the mass slaughter of rare animals is setting new records. The number of rhinos killed in Africa has been rising for six years, and in 2015 reached 1,338. Over 100,000 African elephants were killed between 2010-2012, scientists from Colorado State University assessed. "Very possibly by 2025, these magnificent creatures will be completely extinct," Evgeny Lebedev, UK-based journalist and charity campaigner told BBC.